Here is a 1961 original Matchbox series King size no 6 Allis-Chalmers Motor Scraper by Lesney, Made in England. 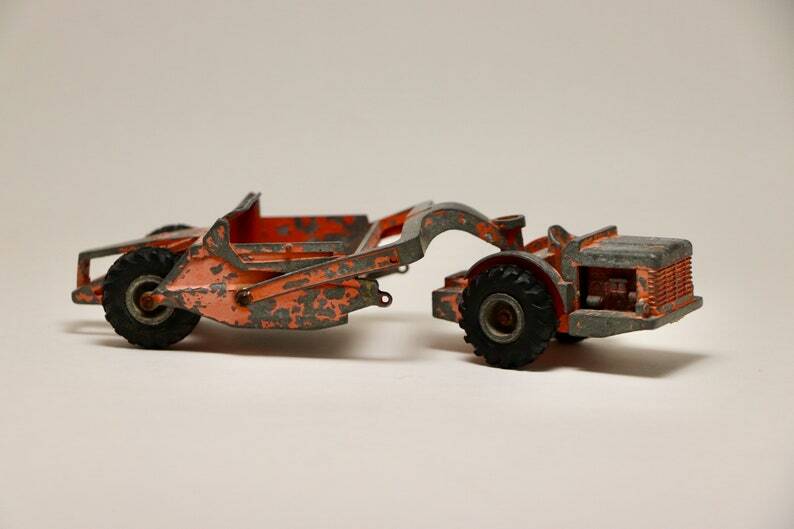 This metal die cast toy has been played with, it has patina, there is missing paint, the front had been repaired, the 2 springs that held up the dumper are missing and there is a piece missing off the trailer, please see pictures, all wheels and axels are complete. Good for a vintage toy display or a restoration project.